Happy Friday! 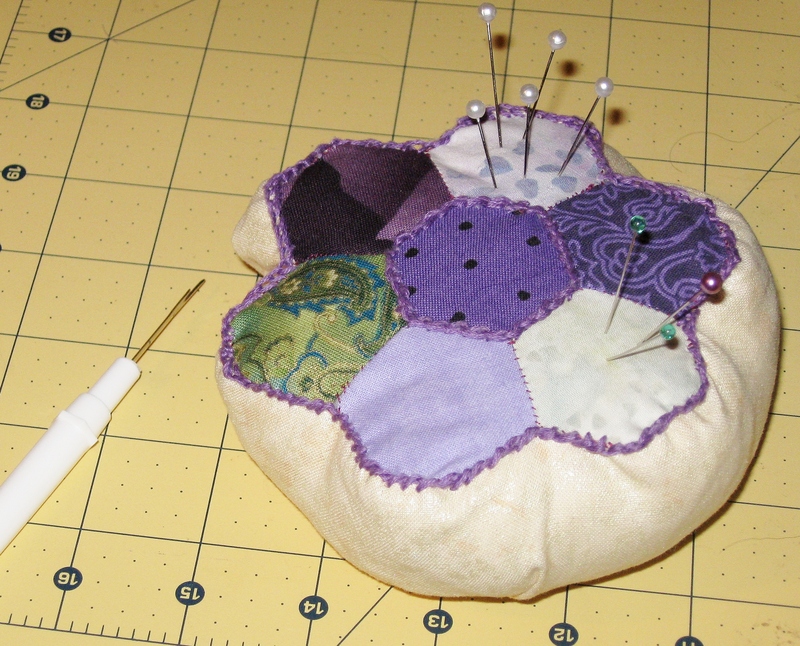 It’s a Finish It Up Friday for me, and I wanted to share my finished Hexagon Pincushion. A small project really, but, hey, finished is finished! Several months ago, one of my quilter friends went to Quilt Market and brought me back a small pack of English Paper Piecing shapes from Paper Pieces. She warned me they were addicting, but I took that as a challenge. I’ve now got hexies coming out my ears and more on the way! I made the little purple flower out of scraps leftover from my very first quilt (which is still unfinished itself, but that’s a project for another Friday). 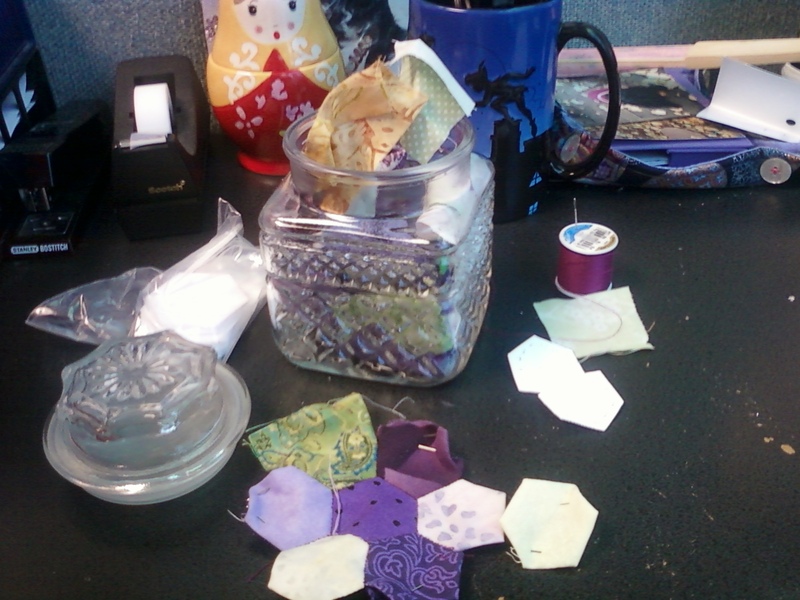 I didn’t have a project to use it on though, so the hexagon flower got shoved in a drawer. This was supposed to be a circle. Linking this up to Finish It Up Friday at Crazy Mom Quilts. Have a great weekend, everyone! Thanks for stopping by. 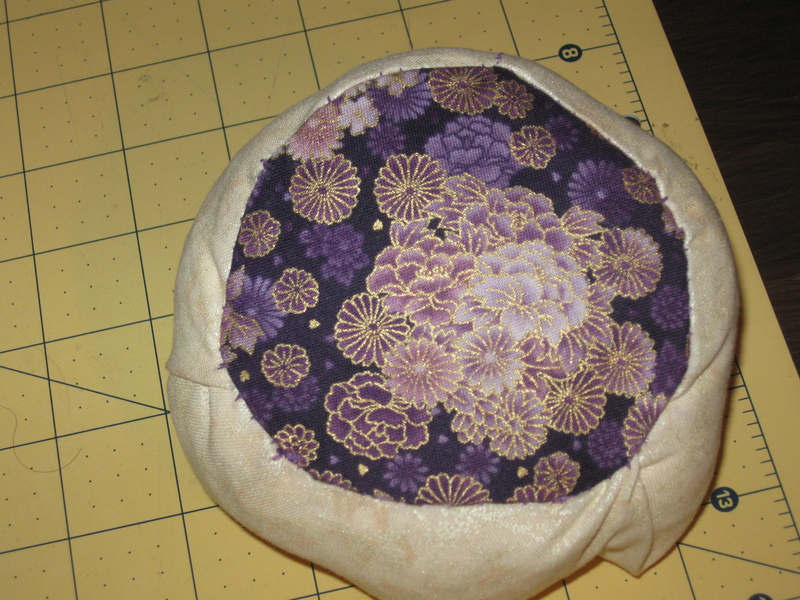 I love this pincushion, and especially that lopsided circle- I think making it up as you go along is fun!